The new Ford Edge has finally hit UK shores, with the five-seat SUV completing an SUV range from Ford that also includes the new Ford EcoSport and new Ford Kuga in magnificent style. Available to order here at Motorparks, the 2017 Ford Edge comes packed with a long list of standard kit that is sure to impress. There’s the SUV’s infotainment system for one, which offers DAB, Bluetooth and USB connectivity and means that you will never be short of entertainment when travelling from A to B. With the inclusion of Ford’s intelligent all-wheel drive system, the new Edge will automatically deliver power to each of the car’s wheels when they need it to ensure a comfortable drive every time. We cannot forget to mention the fact that the all-new Ford Edge features Ford’s pedestrian detection system. Made up of a camera and radar, the technology aims to reduce the chance of you being involved in a frontal collision with another vehicle or pedestrian by continuously scanning the road ahead as you drive. As well as an abundance of state-of-the-art technology, the 2016 Edge also appeals by being available in a choice of three popular Ford trim levels — Sport, Titanium and Zetec — and ten exterior colour schemes. 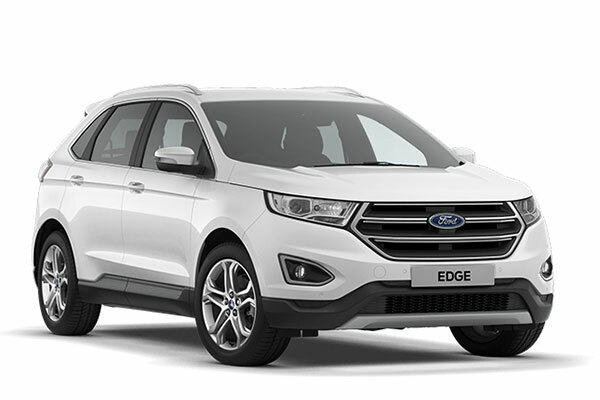 Find the new Ford Edge that perfectly suits you from the huge range below and make an enquiry online now. Test drives of this impressive SUV can also be booked, to take place at either our Wimbledon, Croydon, Ashford, Thanet or Canterbury dealerships.